Donna Brunswick drove to a Costco last month to pick up 2 pounds of raw flank steak—not at the wholesale club, but from a truck in the parking lot. 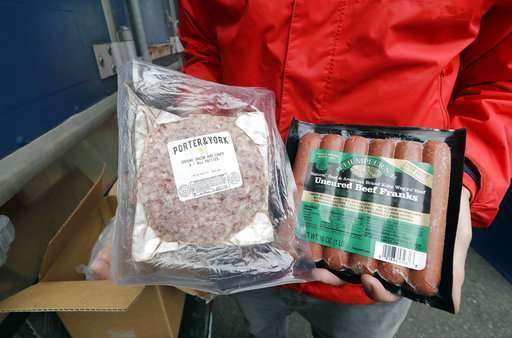 "Typically you wouldn't buy meat off a random truck," says Brunswick, a technical manager in Atlanta. But she says $20 for the slab of beef was a good deal. And she liked the filet mignon she bought from it in December when it was that day's offering. "The truck meat was delicious," she says. The meat didn't just fall off the back of a random truck. 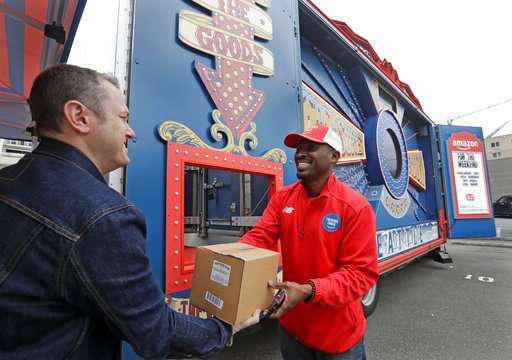 It was sold by Amazon, which already sells just about anything online but now also hawks discounted seafood, Panini presses and more from what it calls the Treasure Truck. 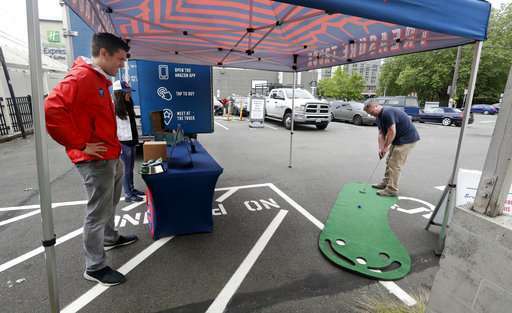 It's a quirky way for the online retailer to connect with shoppers in person, expand its physical presence and promote itself. 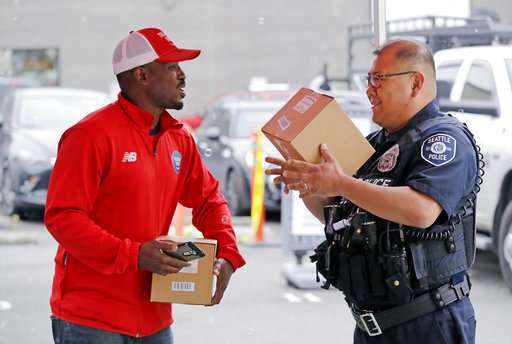 Amazon has also used the trucks to try to bring people into Whole Foods, the grocery chain it bought last year. 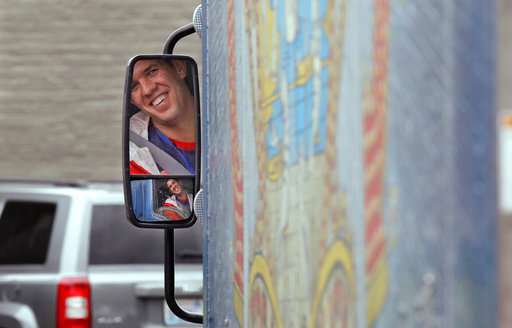 The service debuted two years ago and the trucks now roam nearly 40 cities in the United States and England . 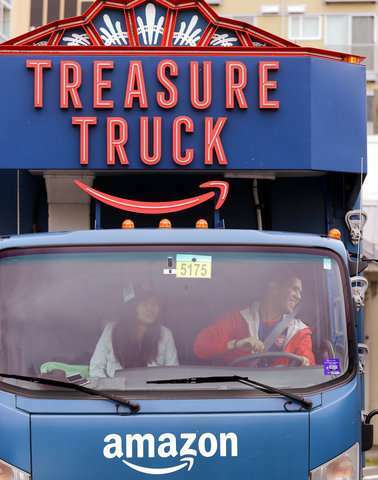 While Treasure Truck sales are a tiny piece of the giant online retailer's business, the value to Amazon may be in the app downloads the trucks generate, their ability to test what products are hot sellers, and the buzz they create, says Aaron Cheris, who heads Bain & Co.'s retail practice. "Amazon does a lot of things because they can," Cheris says. What's sold on the trucks? The item is a secret until the day the trucks roll out. People who sign up get a morning text announcing the deal of the day. 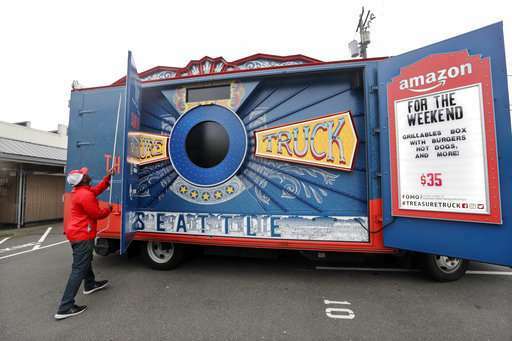 At the circus-like trucks, which light up and blast music, Amazon workers play games with shoppers and help them take selfies. They have custom designs, like a lobster and lighthouse on the Boston truck; cowboy boots in Dallas; and a race car in Indianapolis. A bubble-blowing machine is usually going. "It's so kitschy," says Evelyn Molina, who bought a $20 bouquet of roses, lilies and other flowers from the Miami Treasure Truck. Molina, who blogs about parenthood at MommyMafia.com, decided to treat herself since it was parked near her workout spot. 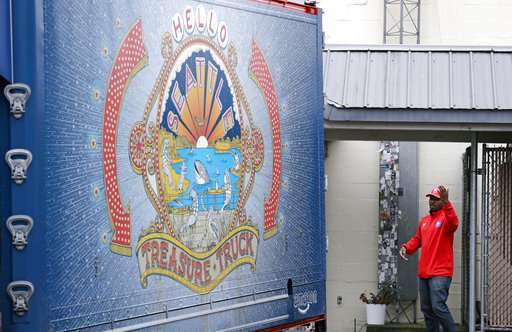 The first Treasure Truck hit the streets of Amazon's Seattle hometown in 2016. 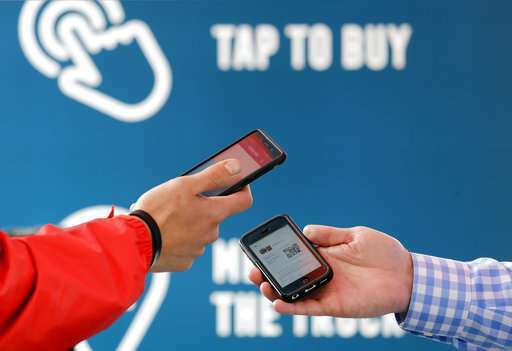 It expanded to 25 U.S. cities by last fall, and then a dozen British cities, including London and Manchester, late last year. Amazon won't say if it plans to expand further. Molina got a $5 Whole Foods coupon when she picked up a "Star Wars" toy in December from a truck parked nearby. The coupon had to be used that day, so she bought grapes, chicken tortilla soup and other groceries. "They totally got me," Molina says. But roving stores come with their own perils. 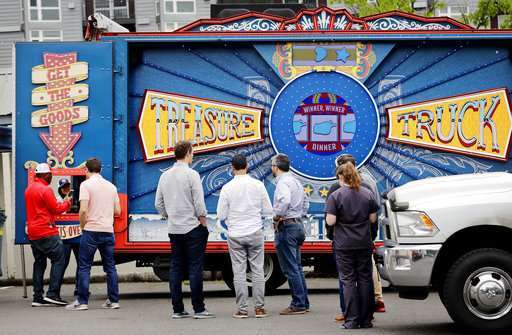 Philadelphia's Treasure Truck went up in flames last month while parked away for the night. No one was hurt, and Amazon says it is investigating how the fire started. And then there's weather: Amazon can cancel outings due to rain, snow or other bad conditions. In early May, the truck in Austin, Texas, was canceled because of heavy rain. Cleo McAllister was bummed she couldn't get her hands on the $15 moving-and-talking doll version of a Porg, the bird-like creatures from "Star Wars: The Last Jedi." She didn't want to buy it elsewhere, since the Treasure Truck price was at least $10 cheaper than other stores, including Amazon.com itself. She lucked out several days later, when the Porgs were back. She's bought other things from the Treasure Truck as well. "It's an excuse to get out of the office and do something at lunch instead of sit at my desk," says McAllister, an office manager. But she hasn't been tempted by the steaks or seafood. "I'm just not one to buy food off the back of a truck," she says.